My parents are so lucky. They live out in the country and when spring comes and the apple tree and lilac bloom their backyard becomes a veritable feast with rhubarb and asparagus springing forth and morels hiding in the woods. C and I, in the thicket of our rental house’s yard have burdock which tricks you into thinking you have rhubarb in the spring and then adds insult to injury in the fall with burrs that stick to you and your long haired dog, but I digress. Luckily, when we visit my parents, they give us food. My favorite method of preparation for asparagus is roasting. Simply trim the ends, throw on a baking sheet, drizzle with olive oil, sprinkle with salt and pepper and cook at 400 F for about 10 minutes give or take depending on the thickness. But, every spring I take another stab at risotto. 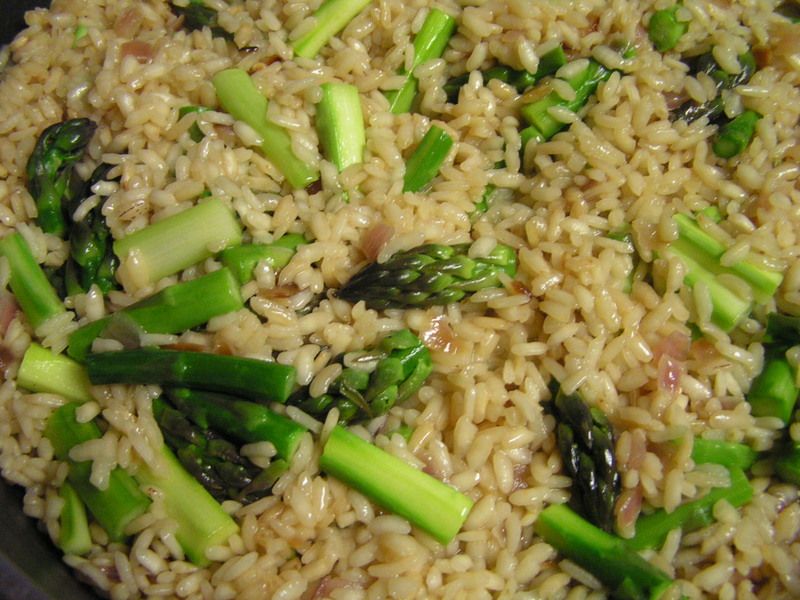 This recipe for Laid Back Asparagus Risotto from a New York Time’s article last year had an instructional video with Mario Batali and Mark Bittman that gave me hope that this time my dish wouldn’t be so blah. And while they have good tips and reassure you that you don’t have to stir constantly, my risotto still turned out blah, sigh. 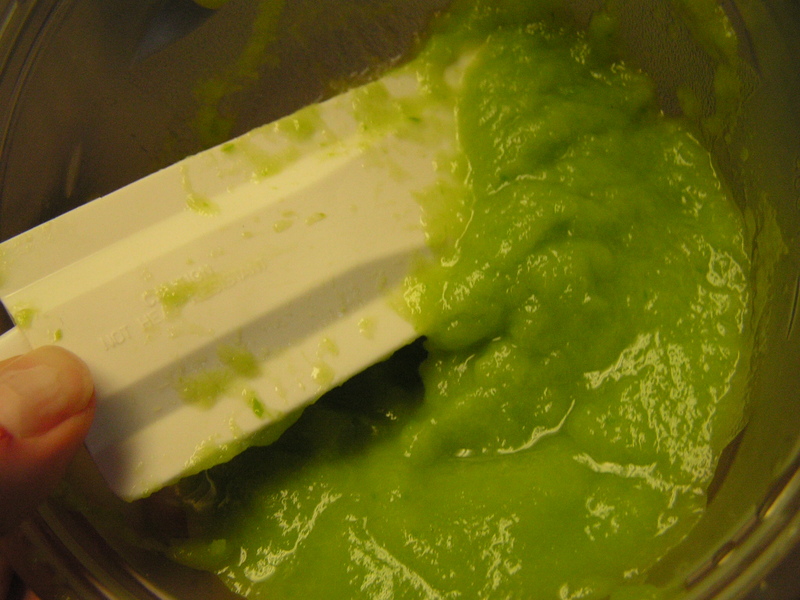 But, I did get to make asparagus puree which was the most beautiful shade of green. The photo doesn’t quite do it justice. I mean this is “paint your walls” verdant beautiful, it’s also probably “baby paint your walls with projectile vomit after eating this” verdant beautiful. I’ve never had any luck with making risotto the traditional way but when I put all of the ingredients into a pressure cooker the results have been very good. Cinda Cavich’s book The Best Pressure Cooker Recipes has some really nice ideas for risotto. I have to agree with your comments on asparagus – roasting asparagus is the best way to go.